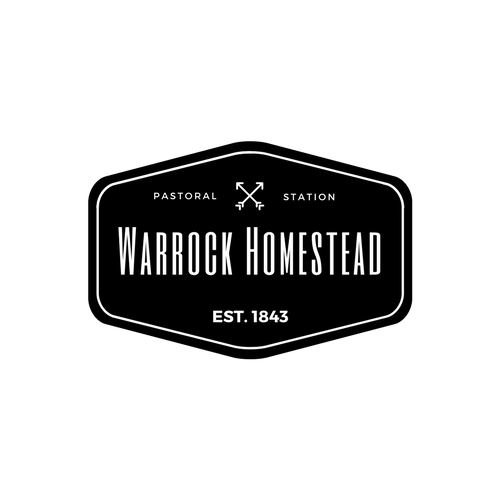 About the historic Warrock Homestead and settlement, built in the 1840s. 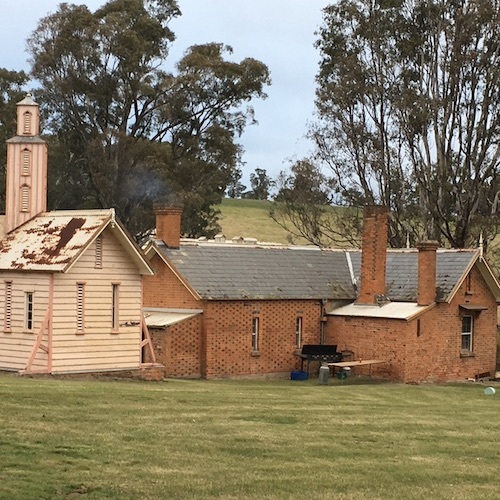 Warrock near Casterton is an outstanding nineteenth century Western District pastoral complex, developed from the 1840s. 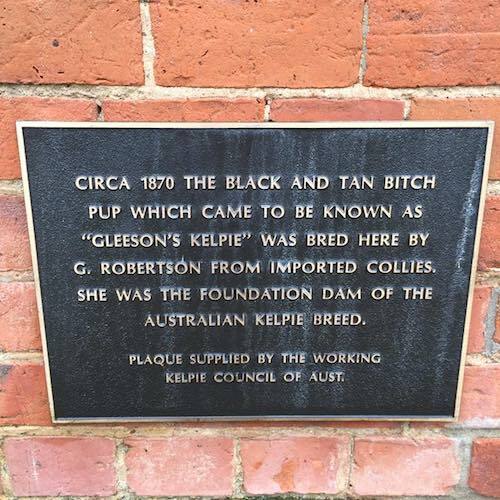 It was settled by Scottish cabinet maker George Robertson, who purposefully educated himself in many aspects of agriculture and architecture before immigrating in 1840. He gained experience by working for his cousin John Robertson at Wando Vale, before acquiring the licence for the nearby Warrock station in 1844, and proceeded to put into practice his agricultural, architectural and social ideals, inspired by the agrarian and egalitarian reforms of 19th century Britain. 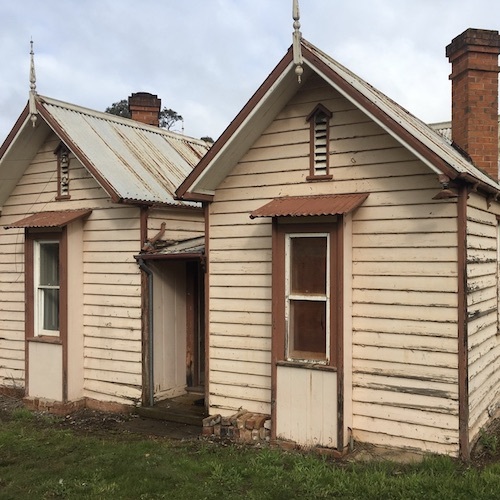 The first buildings he constructed on the property were a one-roomed hut for himself, of split palings from Van Diemens Land with a roof covered with local Blackwood shingles, and a timber woolshed. 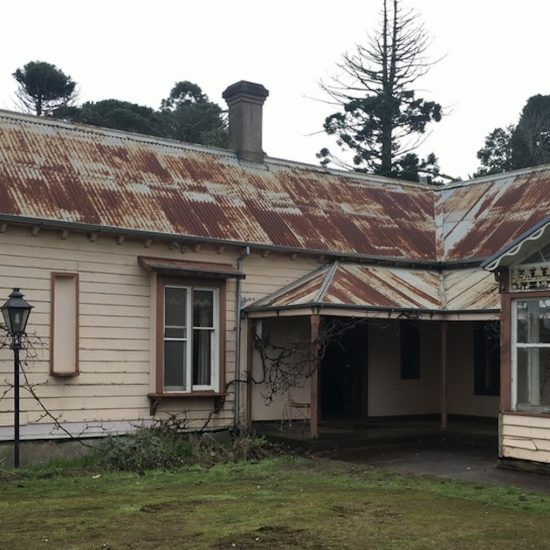 The hut was moved on skids to the present homestead site in 1846, and around it Robertson built, before his death in 1890, a small largely self-sufficient village consisting of fifty-seven mostly timber buildings arranged regularly around an area known as ‘the Green’. This included workers’ accommodation far superior to that on most other properties at the time. Rainwater was stored in fifteen underground brick-lined tanks. Robertson and his wife, whom he married in 1853, had a great interest in gardening, and developed a formal garden around the homestead, which included a wooden sundial and a gabled lych- gate, a croquet lawn and later a tennis court. Robertson had no children, and the property passed after Robertson’s death to a nephew, George Robertson Patterson, and remained in the Patterson family for five generations, until 1992. The complex of 57 buildings at Warrock, mostly of local timber, is in a Gothic style, and many are decorated with finials, brackets, bargeboards and narrow lancet louvred windows. They were constructed by Robertson from 1844, and are arranged in functional groups. Robertson’s 1844 hut is at the rear of the homestead which he began in 1848 and extended when he married in 1853. A detached privy is next to it. West of the rear corner of the house is a cluster of buildings closely associated with the functioning of a nineteenth century homestead: a dairy and storeroom (probably 1845); a grainstore (probably 1844); a brick privy (early 1850s); a cottage (1840s, originally used around the run as a shepherd’s hut and moved to its present site in the 1860s as a cottage for a gardener, housekeeper, cook or governess); a conservatory (1850s) and propagation houses (essential for the garden); a bacon smoking house; stables (probably late 1840s, with a Stephenson screen for meteorological measurements under its verandah); a meat house; and a coach house. Alongside these, forming a buffer between the domestic and farm precincts are a workshop for Robertson, which later became his office (begun in the late 1840s), bachelors’ quarters (early 1850s), and a blacksmith shop (1850s). Further west of the house are the buildings associated with the handling of sheep: the old woolshed (c1845); a new woolshed begun 1865); shearers’ toilet; branding shed and foot dip; a slaughter house; and a skin drying shed. The farm precinct south of the house includes a larger workshop (late 1850s and 1860s, which includes a brick-lined sawpit), a bullock byre, pigsties, a brick store, draught horse stables (probably built between 1844 and 1847), dog kennels, a hay barn, a hay shed, a cow bail, and men’s quarters and implement shed. Between the west and south clusters are the buildings used for the accommodation of the workers: a station hands’ cottage; two shearers’ quarters (one from 1846); men’s bathroom and toilets; a large brick men’s dining room and kitchen; and a belfry (probably 1864-5) for calling the men to work and meals. The garden and some of the early plantings survive, including a Laurustinus hedge, a rare Hybrid Trumpet Creeper, Campsis x tagliabuana, and particularly fine specimens of Maritime Pine (Pinus pinaster), Bunya Bunya (Araucaria budwillii), Blue Atlas Cedar (Cedrus atlantica f. glauca), Queensland Kauri (Agathis robusta), Hoop Pine (Araucaria cunninghamii), Canary Island Pine (Pinus canariensis), and Port Jackson Fig (Ficus rubiginosa). 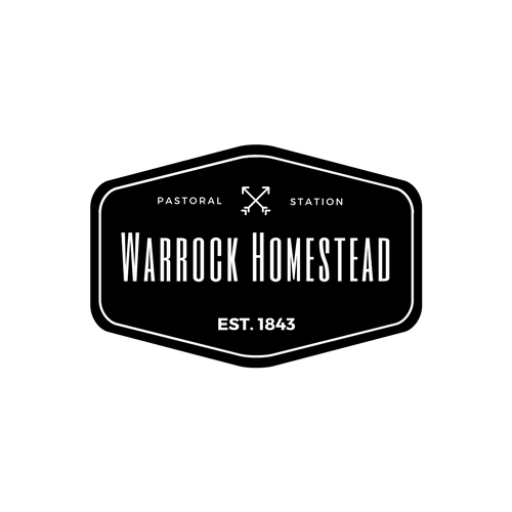 Warrock was purchased in 2016 by the Farquharson family – a local farming family who is working towards restoring the buildings and surrounds to reopen to the public once again.